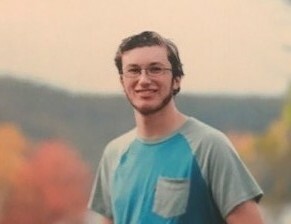 W. Brookfield...Tyler R. Kubert, 19, passed away Saturday, November 24, 2018, at UMass Memorial Medical Center. He leaves his mother and step-father Elissa B. (Lawrence) and her husband James Boos of W. Brookfield, his father Robert Kubert, Jr, and step-mother Alysia of Brookfield, 2 sisters Grace Boos and Juliette Boos of W. Brookfield, 2 brothers Salvador Martinez of Webster, and Brendon Martinez of Shrewsbury. He also leaves his maternal grandmother Ann Merriam and step-grandfather Edward Merriam of Warren, MA, maternal grandfather David Lawrence of N. Brookfield, paternal grandfather Robert Kubert, Sr. of W. Brookfield, his step great-grandparents Richard and Charlotte Boos of W. Brookfield, and Robert and June Power of Holland. Tyler is also survived by many aunts, uncles, and cousins Julie Lawrence, Ken and Sarah Lawrence, Laurie and David Caron, Linda and Dinin Lopez, Susan Kubert, Ronald and Sue Kubert, Jessica Girouard, and Jason Power. Tyler graduated from Quaboag Regional High School in June 2018. He enjoyed fishing, owned his own landscaping business, selling and trading on websites, volunteering, and working part-time at the Big Y in Spencer, but most of all loved spending time with his family and friends, and helping those in need. There will be a church service at 10AM on Friday, November 30, 2018, at the Upper Room Christian Fellowship Church, 18 Central Street, West Warren, for family and close friends. There will be a Celebration of Life Friday evening from 5-8 at the West Brookfield Senior Center, 37 Front Street, West Brookfield MA and all are welcome. In lieu of flowers, donations can be made to Suicide Prevention Lifeline or Fisher Center for Alzheimer’s. Sansoucy Funeral Home, 40 Marcy Street, Southbridge, MA is assisting the family with arrangements.